Ukrainian singer Jamala has won the 2016 Eurovision song contest with a controversial piece about Stalin’s deportation of Crimean Tatars. Australian and Russian performers grabbed the 2nd and 3rd places respectively. The song 1944 written and performed by Jamala, a Ukrainian singer of Crimean Tatar descent, was inspired by the story of her great-grandmother during the 1944 deportation of Crimean Tatars in the Soviet Union at the height of World War II. 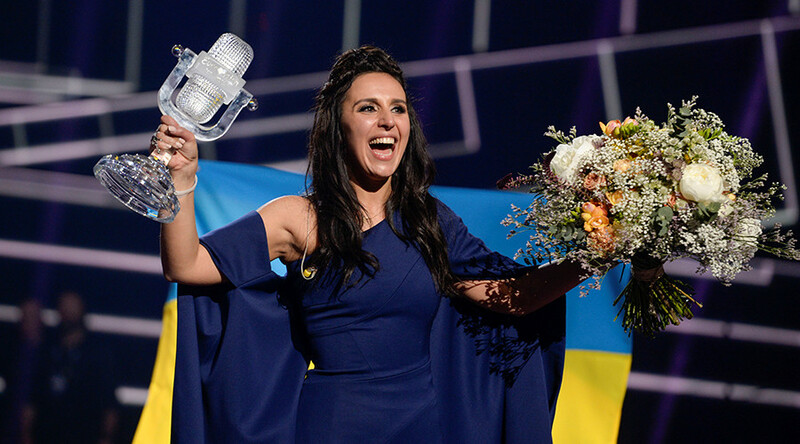 Jamala was victorious in Stockholm, Sweden on Saturday, winning the international competition with 534 points to secure victory for her country. Australia finished second with 511 points, while Russia came in third with 491 points. Ukraine’s participation in Eurovision this year was highly provocative and politicized. Despite rumors that the song might be disqualified because of its political overtones, the Eurovision Song Contest Reference Group cleared it for the competition, claiming that neither the title nor the lyrics contained political speech. The head of the Ukraine’s National Remembrance Museum said in February that if Jamala won the contest in Stockholm, next year’s event would be held in Crimean Sevastopol. That might be a problem, considering that Crimea voted to secede from Ukraine and rejoin Russia in a referendum held in response to an armed coup in Kiev. Russia was in fifth position after the professional juries’ vote, but when it came to the televote, European and Australian viewers clearly preferred the Russian song, and Sergey Lazarev got the best score. Russia came third in the end.